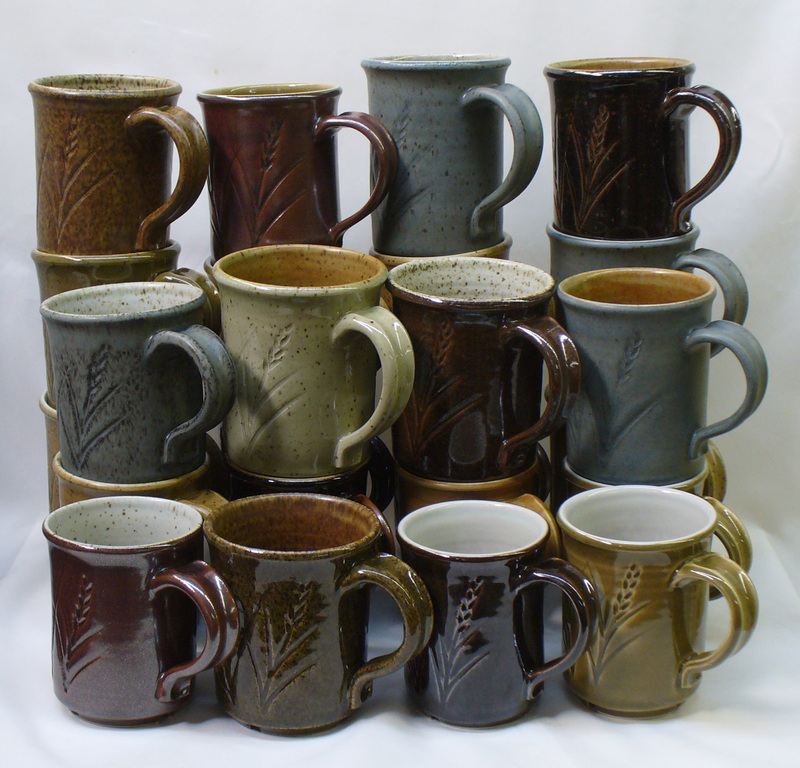 These cone 10R mugs are made with Ravenscrag Slip glazes. The 80:20 Ravenscrag slip:Frit base has infinite possibilities at cone 6. 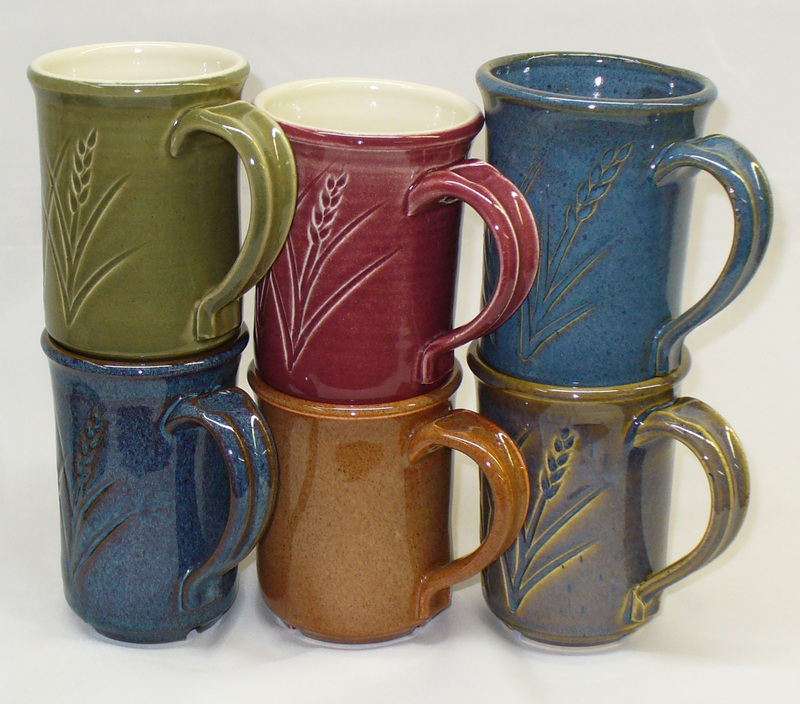 It is so easy and the glazes are stunning to look at and great to use. Imagine making your cone 10R glaze recipes typically using 90%+ of just one material and adding colorants, opacifiers, variegators, glossers or matters! Or doing the same at cone 6 with an additional 20% boron frit. Plus you get the bonus of great working properties! Ravenscrag Slip works all by itself as an excellent silky glaze. Silky matte glazes are the biggest reason for its popularity. Using Ravenscrag you can make these without the crazing, cutlery marking and staining problems often encountered with common dolomite and talc mattes. The three essential components of a glaze are glass (from silica), clay for suspension, and flux for melting (Ravenscrag Slip has all of them). Because Ravenscrag Slip is so complete by itself, you will have no more glazes with 50%+ feldspar and not enough clay to suspend them. High percentage Ravenscrag glaze slurries that are a pleasure to use, they do not drip, curtain, powder, crack and settle like so many others. Just add 20% boron frit (e.g. frit 3134) and you have a base cone 6 transparent glaze for light burning stonewares. Add a little rutile, titanium or tin to bring the base alive and then other colorants. The Ravenscrag Slip world of glazes is much less about secrecy and more about sharing. It is about making reliable, functional and easy to use raw glazes, not about making reactive and difficult-to-control glazes. Currently glaze recipes are being developed and added to this web site on an ongoing basis. You are also invited to submit your Ravenscrag Slip recipes and share ideas. Ravenscrag Slip really shines at cone 10R as a way to make the classic reduction talc and dolomite mattes for light and dark stonewares. Ravenscrag Slip really shines in the slurry properties, it has exceptional application and drying properties. We have more recipes for Alberta Slip at cone 6, but it contains significant iron it is only suitable for darker colors. Ravenscrag Slip does not need to be calcined for larger percentages in the recipe.